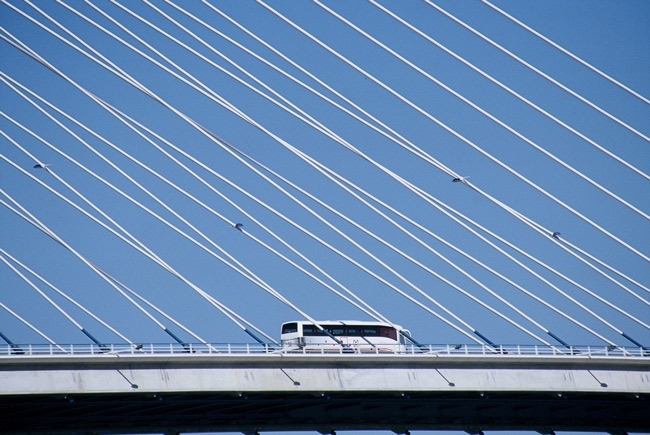 Фото "Vasco Da Gama Bridge"
Lines form a nice abstract by themselves! Very good shot. Good geometry and colors. Eu tinha cortado um pouco em baixo pqara se ver apenas a faixa negra. Well done Luнs manso. Very good perspective. A shot with great balance. Good photograph. My congratulations, Luis Manso.